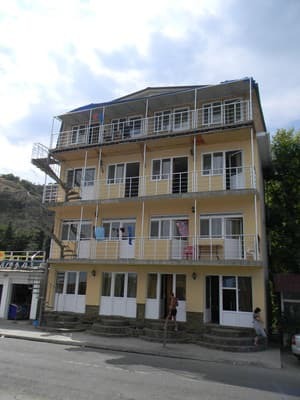 Guest house "By the Sea" is located in the resort village of Rybachye in the area of ​​the bus station 50 meters from the sea. 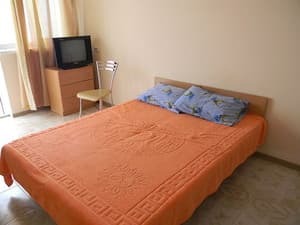 The hotel offers accommodation in 1 of 15 homelike rooms with all the necessary attributes for a comfortable stay. There is a kitchen for self cooking. The hotel also provides parking. Near the guest house "By the Sea" there are cafes, bars, discos, shops and water activities. Hosts can organize excursions at will. PRICES MAY CHANGE, YOU NEED TO RECEIVE INFORMATION FROM THE OPERATOR! 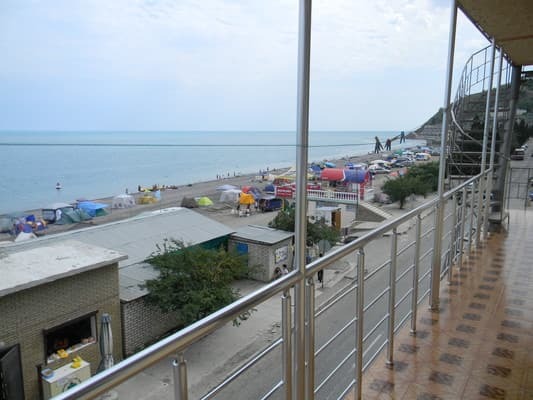 Guest house "By the Sea" is located in the resort village of Rybachye in the area of ​​the bus station, 50 meters from the sea. It is easiest to get there with a transfer in the city of Alushta. You can get to Alushta from Simferopol by bus: Simferopol-Alushta, Simferopol-Yalta, by fixed-route taxi or long-distance trolleybus No. 51, No. 52, landing near the railway station of Simferopol. Travel time from Simferopol to Alushta - up to 1 hour.